When backpacking trails were first conceived of in South Africa, in the 1970s, the old government overestimated the ability of the people it hoped would use the National Hikingway Trails that it installed. 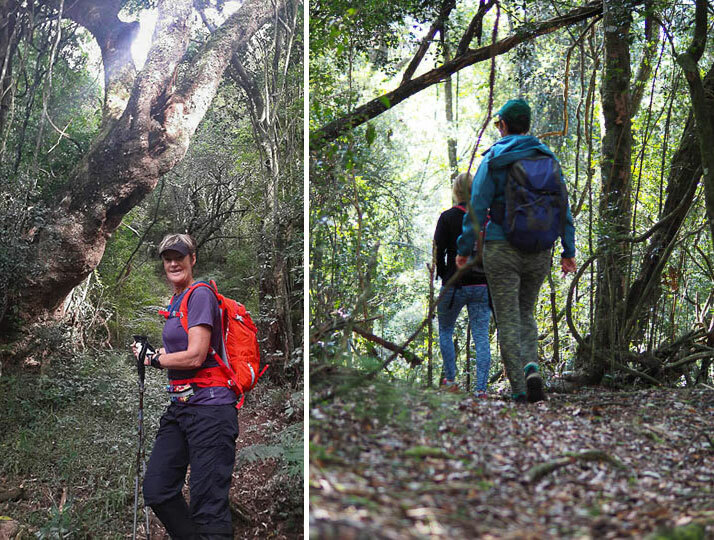 For that reason, the daily distances of those first forestry trails – like the Soutpansberg and the Outeniqua trails – were generally 20-30 km. Perhaps in the Calvinist conception, the suffering that hiking such distances with a 12-20kg backpack was virtuous; perhaps in fact, if you could do that, it would give support to their conception of a superior race. But the reality was that hikers mostly came nowhere close to master-race abilities. 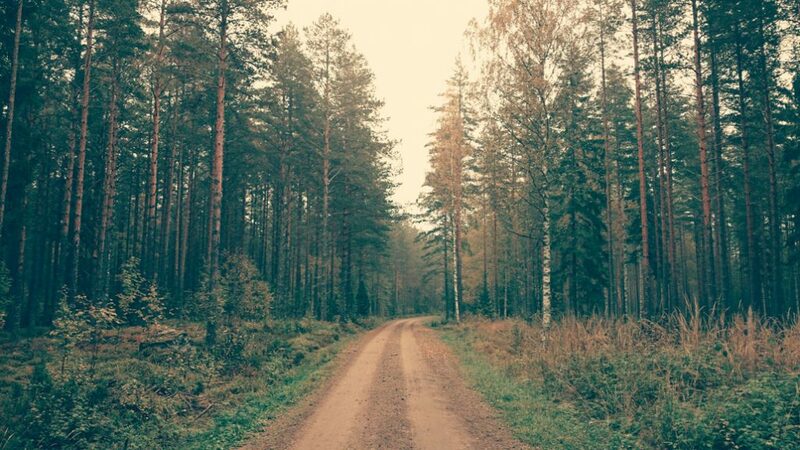 Frequent emergencies with exhausted hikers as well as negative feedback eventually prompted the authorities to revise their notions and shorten the daily distances for existing and new trails. 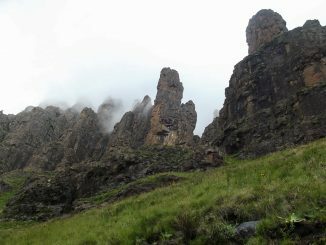 We may deride these early conceptions, but we can nonetheless thank the early government trail designers for originating the concept of hut-to-hut hiking in South Africa. 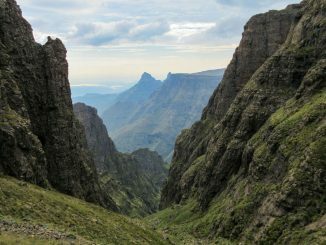 And South Africa, in its variety, turned out to be a country hugely suited to hiking trails of all sorts – in fact better than the beautiful, but relatively unvaried, trails of New Zealand. Eventually, Mao’s equivalent of letting one hundred schools of thought contend occurred in the South African hiking sector. Farmers and others began offering all kinds of trails of all kinds of lengths and with all kinds of attractions for all kinds of people. The previously-puritanical proposition that you had to carry your backpack into the wild became just one option as operators began offering slackpacking options in which hikers’ bags were carried for them between night stops. 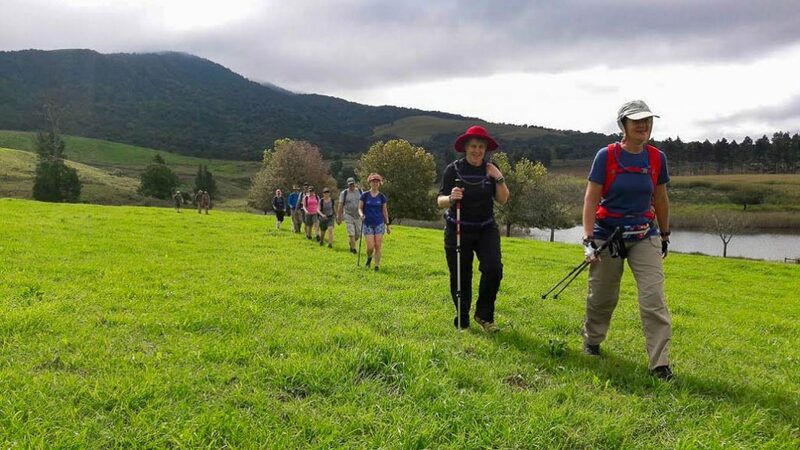 An advanced form of this is the glamorous type of slackpacking which is offered by operators like Spekboom Tours in the KwaZulu-Natal Midlands. That formula offers stunning surroundings via a hard hike (15-20km per day), but also a soft bed and delicious food. In other words, doing hard physical exercise doesn’t mean you cannot also have the finer, hedonistic things in life. KwaZulu-Natal Midlands, and particularly the Mist Belt, is particularly well-suited to this. 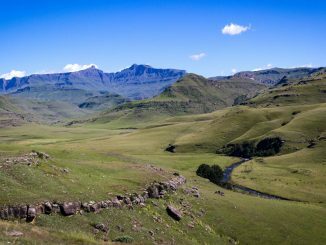 It variously trousers stunning moist indigenous forests dominated by yellowwoods and lemonwoods, to open upland grasslands rich with veld flowers, to luscious forestry and dairy farmland. 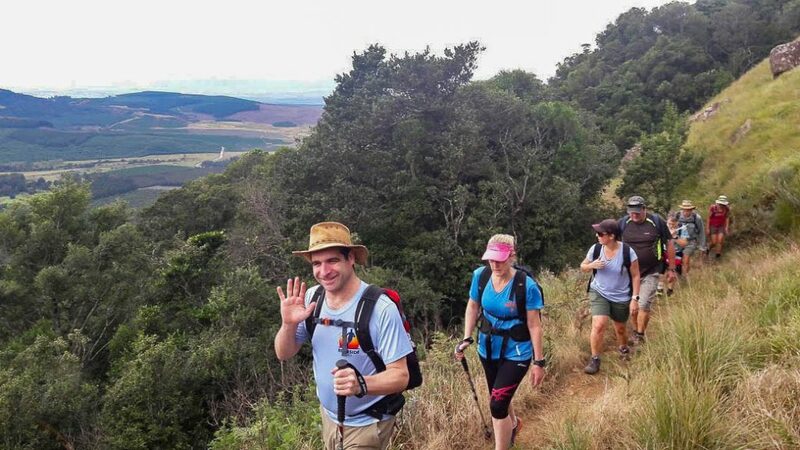 A good trail organiser like Spekboom Tours offers a balance of all of these as well as interesting events along the way. The Mist Belt forms an irregular band through the Midlands. Mists are frequent in summer, as are frosts in winter, when snow also falls occasionally. The Cape parrot is an indicator species of the Mist Belt. In many of the patches of the belt, it seems that the remnants of the British Empire have survived in the names of farms and their owners, concealed in the mist. On a 3-day Falls2Falls trail in the Karkloof area north of Howick, the first night was spent at Shawswood Farm in rooms beautifully decked out as glamorous stables. The weekend started with drinks and snacks and then dinner provided by one of the leading local caterers. No pot noodles in sight. And the stable theme was not an indicator that we would be carrying heavy packs because every day our bags were transported to the next destination. On the first day’s hike we ascended 500 metres over 5km through dense forest. Reputedly this is the largest indigenous forest in South Africa after the Tsitsikamma forests. Twice we heard the screech of the Cape Parrot, but did not see it. But we did see the rare Blue Karkloof butterfly! At the top of the escarpment, the forest fell abruptly away, replaced by a vast treeless light-green grassland sprinkled with everlastings (flowers) in pink, red, yellow and mauve – set against lichen-blotched grey rocks. We got to view Grey Mare Falls, falling 100 metres from the grassland area, against dolerite columns, into the deep forest below. The falls’ name is an imaginative reference to the waterfall as a horse’s long tail being swished by the wind. 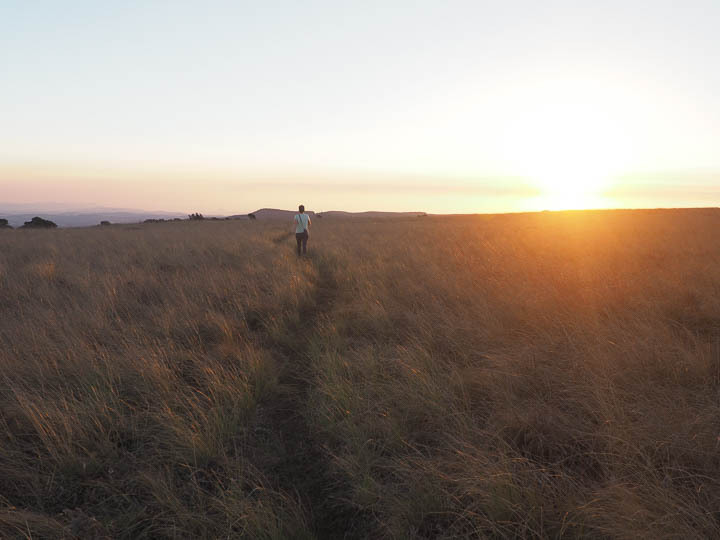 Then we traversed the grassland area – part of a huge conservancy maintained by local farmers. 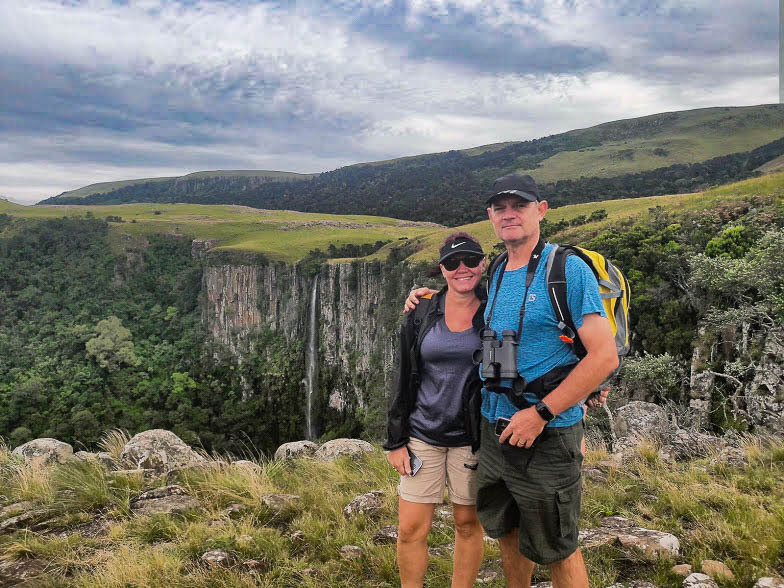 Julia Colvin, founder of Spekboom Tours, also does separate fundraising hikes to support the conservancy. This uninhabited upland area has game of various descriptions – zebra, wildebeest, you name it – some of which we saw. But the pristineness and silence was the real appeal. Luckily it was cool, with the sun intermittently hidden behind fleeting clouds. In the early afternoon, we descended again through the forests to our night stop at Thistledown House, nestled in luxuriant gardens. But if we thought we were going to just enjoy a delicious supper and a cold one in peace, watching the copious old man’s beard lichen (usnea) and moss in the garden grow, we were wrong. With supper we were treated to an extensive presentation on Conquering Fear by Kai Schulz, owner of the Karkloof Canopy Tour, which operates from the forest nearby – one of the largest zipline adventures in South Africa. But why such a presentation when we were, after all, not threatened by the Cape Parrot or any of the many other creatures in the forest? Because the next morning we frogmarched ourselves up to his 10-stage zipline over the forest. Did I benefit from the Conquering Fear presentation? Not that much because the combined effect of the exercise plus generous tots of whisky addled my concentration. So, I resolved to “trust the system” and rode the wires above the canopy at breakneck speed without incident. 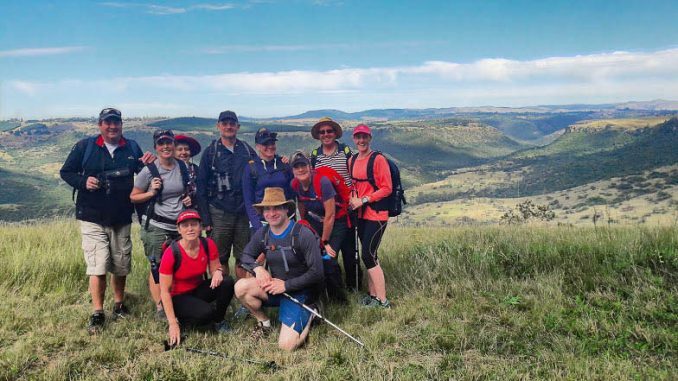 That done, and excitedly discussed in every aspect, with photos taken, we set out on the day’s hike – 20km through mainly dairy and maize farmland and through an area where farmers (again) preserve the critically endangered wattled crane. 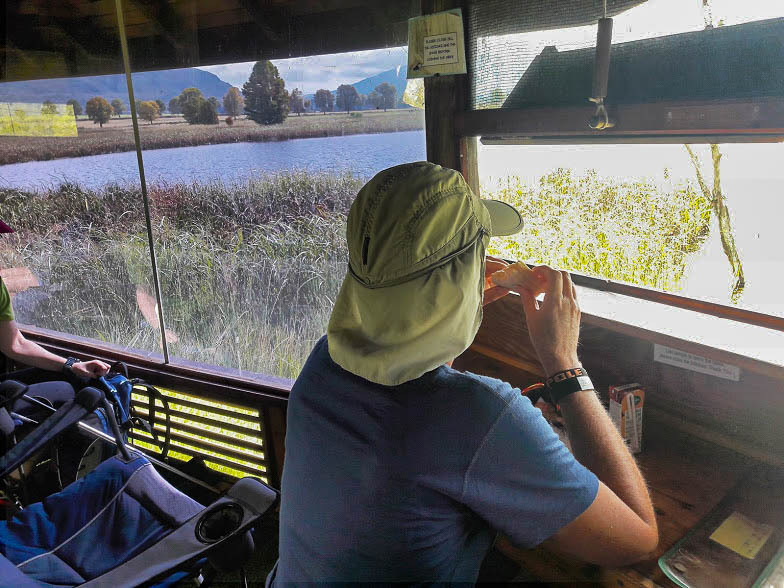 We stop at two hides and spot one pair of wattled crane as well as other birds. Of course, the business of scientific, commercial farming also impresses itself on us as we walk. This is serious stuff, involving huge amounts of capital and big risk. After passing the impressive Karkloof Falls (105m), we are transported to our second night stop at Amber Avenue guesthouse. At Amber Avenue, the host, Sue, is a school principal but also a dress designer. The meal is served by ladies decked out in the height of African fashion and elegance – something which gives them a dignity which I have not seen elsewhere. On the third day, the trail leads towards Howick along the edge of the gorge formed below the Howick Falls (95m). We descend abruptly from the edge into the valley created by the Umgeni River, below Howick Falls. 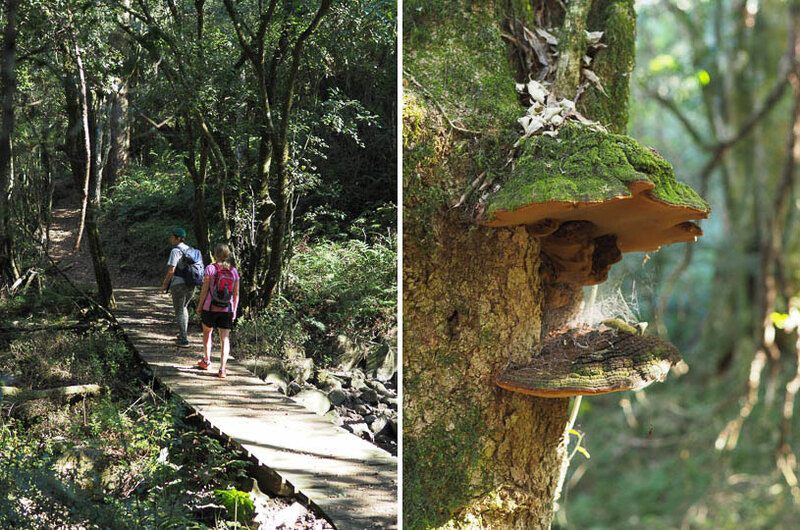 We walk through this 900ha reserve crossing the Umgeni River through indigenous bush, including flat-topped thorn trees. The reserve features panoramic views and diverse walking trails and mountain biking routes. So, we had walked from cool montane forest to sweaty subtropical thornveld in three days. In a smaller way, it was as much of a transition as hiking itself has undergone in South Africa in the last 40 years.